I am contrite. I made a faux pas, referencing my daughter’s boyfriend’s Gap Year plans in a public context, where those dreams and plans are in that early form, more private, tentative, speculative. In contrition, I am pondering how we all have that capacity to hold onto private dreams about ourselves, our capacity to achieve, to be, to exist in some form or other that defies who we are now. In keeping our dreams private, do we stifle or liberate our deepest desires? A friend, anticipating her only child’s immient move to Birmingham University, and anxious about how her life may change, had commented on the need to find something new to do, that might satisfy her more than her current occupation. The future of her dreams is already shrouded by the loss of her son to university, to new friendships, to his blossoming romance. Her desire to find something that might fill her days until her son journeys home, which she hopes will be often, is poignant, somewhat forlorn, but not unusual. We all of us, as parents, eulogize our children’s past. We embellish and adorm fragments of a past with oft-repeated accounts of favoured childhood incidents. Invariably there is humour and affection as we recount incidents, prompted by a cue here and there, that reinforce an impression of a son or a daughter who has a myriad qualities, all of which are locked in the time capsule of the past. My own favourite is of the time my daughter and I forget to pack her rabbit and bear for a school ski-ing trip to Italy. In my panic and endeavour to make amends, I had her beloved Nerny and Teddy collected by courier to be delivered to the resort where her school were staying. Alas, they arrived after her departure, and the best efforts of a tracking service could not deliver them home before her return. Nerny and Teddy arrived finally, after their European adventures, some two weeks after my daughter’s return, encased in a battered parcel with stamps from over five countries. We teased that Nerny and Teddy had been on an adventure, but that night, my daughter slept with Nerny and Teddy tied fast to her stomach by the belt from her dressing gown. The philosopher John Locke, defined our concept of the blank slate (with thanks to Wikipedia). In fact, our modern idea of the theory is mostly attributed to John Locke’s expression of the idea in An Essay Concerning Human Understanding in the 17th century. In Locke’s philosophy, tabula rasa was the theory that the (human) mind is at birth a “blank slate” without rules for processing data, and that data is added and rules for processing are formed solely by one’s sensory experiences. The notion is central to Lockean empiricism. As understood by Locke, tabula rasa meant that the mind of the individual was born “blank”, and it also emphasized the individual’s freedom to author his or her own soul. Each individual was free to define the content of his or her character. The high level of neuron production during the first five years of life incresaes the capacity for learning, but also clears the mind of old memories. I’m interested to discover if research exists to suggest the same process may be at play in teenagers. I see also in these teen years, a time of great challenge, where experiences and knowledge tumble over each other in an excess that is scarcely replicated in later years. The emotional, academic, social, physical and sexual development of many teenagers, place everyday demands on the brain that are immense, and should not be under-estimated. I ponder if there are monents in the formative teenage years where there is a temporary incapacity to ‘stably store information’. I rather like this quotation by the American satirist, Bill Hicks. 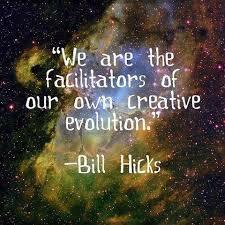 Who are we if we are not the facilitators of our own creative evolution? For many teenagers, the school years are dominated by the agenda of others: of parents who determine choice of school, subjects, activities, transport, waking, eating and sleeping hours; of teachers who determine curriculum, homework and exams; of friends and partners who exert a greater or lesser influence over how down-time may be utilisied. 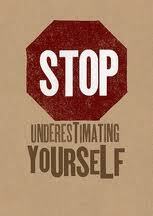 Follow 24 hours in the life of most teenagers and it will be dominated by an agenda created by a.n.other. As an educator, that period of transition, from an agenda that is externally controlled, to an agenda that is internally driven, I find fascinating. How young people manage that transtion time also is endlessly diverse and equally of interest. I have posted before on transition points, or ‘momentary modulations’ where life appears at once, urgent, chaotic, turbulent, pressed upon by change from all fronts, and then, resumes a more orderly pace, and settles into new routines, new rhythms, until the next momentary modulation, which may be some three or four or five years along the line. The danger, in the turbulent transition from dependence to adult hood and independence, is that ambitions may be sacrificed, goals and dreams compromised to fit more readily the expectation of others. 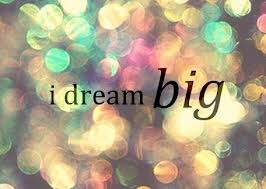 It is holding fast to that dream, the big dream, that matters. The tendancy of many young people to under-estimate their real potential, their great worth, is great, but should be countered at every turn. In my work especially with children and young people with special educational need, I see too frequently, the low expectations of the child compromised further by even lower expectations of parents, who see too readily the challenges they have encountered, the difficulties they have fought to over come, and has an ever present list of their child’s academic or social and emotional short-comings. It is that time capsule of the past again, that surfaces, relentlessly, inconveniently, with a power to sabotage the promise of the future. If I am not for myself, who will be for me? And if not now, when?